We received the following report from our long reader A. in which he informed us that between the period of 22th - 28th September 2015 we are going to see the start of something major for civilization as we know it or as he suspect. After he has been putting pieces of the puzzle together in order to see the full picture, he discovered that actually all the signs are right in our face, yet many aren’t picking up on it! So let’s begin and see how they all join together. 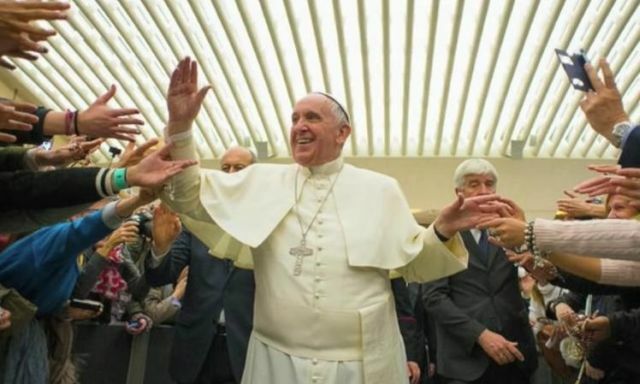 POPE FRANCIS TO MAKE HISTORY IN FIRST-EVER PAPAL ADDRESS TO THE UNITED STATES CONGRESS. POPE FRANCIS TO ADDRESS CONGRESS ON SEPT. 24, 2015. Pope Francis is to visit the US on 23rd September 2015. He will visit the White House and then address the US Congress on the 24th September. Could we be witnessing the prophet of the Anti-Christ, the false prophet? On the 25th the Pope will address the US General Assembly in New York where he will unveil the Post 2015 Sustainable Development Agenda, in other words the NWO plan. This is primarily showing to be a great humanitarian plan to bring all the nations together as one and to stop poverty, famine and unite all of humanity. Although this sounds great there is a bigger agenda here. As we all know the NWO is upon us and this so called innocent plan is the key to total control, one power to take over the world! The G20 will then look at uniting to create a global economy and creating equality in wealth across the board. Will this mean people will be asked to sign an agreement to be part of this system, a system which seems to help everyone but will lead to our downfall? Is this the so called 'mark of the beast' and will we be deceived, if it sounds too good to be true then it probably is! If the majority sign up then we are giving all power to the NWO, who will have the opportunity to take control of our wellbeing, food, money, resources and so can bring us to our knees and we are powerless to stop it! In these times of uncertainty with war, economy and climatic chaos many will be forced to look at the Pope and as the savior and we will bow to his plans, when we are at our weakest. Let's also remind ourselves that we are told that this could be the last Pope, if this is true then we are nearing the end times or the end of a cycle. How strange that with this in mind, this last Pope chooses to visit the US, a first in history! See Video 1 and Video 2. CERN (Hadron Collider) to run 2015, over 6 months. This Hadron Collider is 17 miles long and runs 300ft below ground, the piping running circular between France and Switzerland. What's interesting is that this will be running up again in September at it's most powerful level yet. Scientists and other experts have warned about the dangers of trying to create the god like particle and trying to rein act the big bang. So much energy, more than that of the planet Earth could destroy the universe with the most violent of explosions! We are delving in to the unknown trying to act like God! See Video 1 and Video 2. The CERN logo is 666 the sign of the beast in a circle. The CERN collider looks like the all seeing eye or stargate we see so much of. A statue of Shiva the Hindu God 'The Destroyer' is placed outside the entrance to the CERN building. A huge LHC key was handed over to staff starting up the CERN systems again this spring. Let me remind you that in the Bible it mentions that a star falls from heaven and unlocks the bottomless pit. 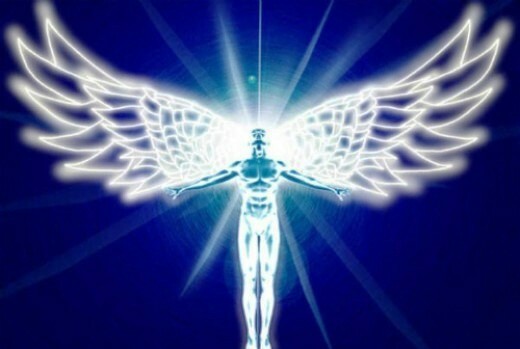 2015 is being labeled 'The year of light' a sign of Lucifer, interesting that this also links to an event created by the UN involved in the set up with the Pope. See Video. Also interesting is the logo they use for this year of light which looks like the CERN collider, the all seeing eye. EVENTS around the September period. In this period are the Feast of Trumpets 13th September. 4th blood moon on the 28th September on the Feast of Tabernacles. A total lunar eclipse will be seen by most of America, Europe. 25th September is the UN Summit for the Adoption of the Post-2015 Development Agenda. See Article. Possible asteroid hitting Earth around this time and could be the cataclysmic event needed to push the NWO. See Video 1 and Video 2. Notice military stockpiling weapons, ammo and food lately and rumors of underground bunkers, Jade Helm military exercises (See Article) and similar large scaled military exercises throughout the world. These signs are as known in the prophecy the start of the 7 years of tribulation. Indeed, there are many signs referring to September. Also according to the more than 3,000 years old Hebrew mystery ‘Shemitah’, September will be a month in which certain things will collapse. See Video. Our focus on the planet is connected to our very survival. We are on the edge of a climatic abyss. 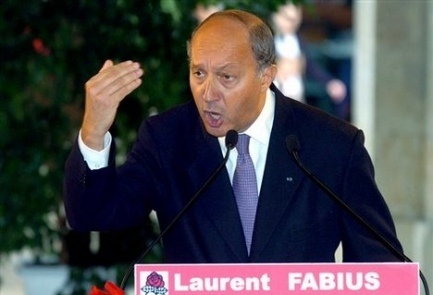 In fact, we have 500 days to avoid climate chaos, conference in May 2014. See Video. Movies, Media, Video Gaming Industry, Toys. Movies, TV shows, advertisements and other signs that are all pointing us to the time period between September 22-28, 2015. Acceleration in films and games depicting CERN, interdimensional travel, parallel universes, portals and stargates. Titles include Tomorrowland, Mission Impossible, Call of Duty Black Ops III, Mad Max. All are being used to condition using subliminal messages for the coming and acceptance from the masses of events that will unfold very soon. Even LEGO, with their famous line of plastic construction toys and colorful interlocking plastic bricks comes with a new CERN toy. 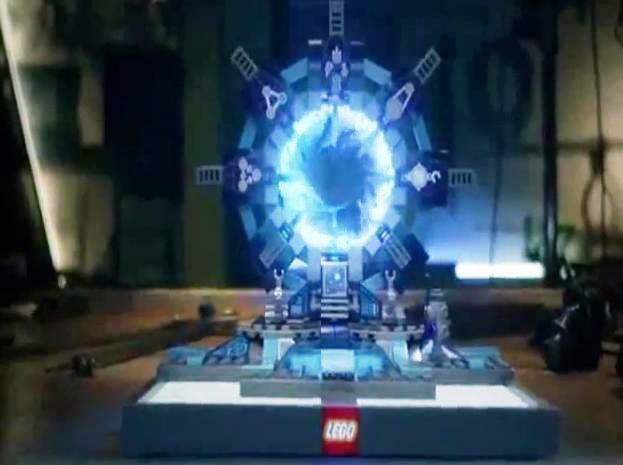 The new Lego Dimensions ad shows what is coming in September 2015 as portals to other dimensions open. The Scriptures point to September 2015 as the first rapture event and opening of the Abyss. See Video. Why is the New York Federal Reserve bank moving to Chicago, Illinois? NY Fed Bank has been in NYC since 1914. In all of U.S. history, there has never been a natural disaster in New York City that would have been bad enough to totally shut down the operations of the New York Fed for an extended period of time. What kind of natural disaster would be bad enough to completely shut down the operations of the New York Federal Reserve Bank? It would have to be something very unusual and ODD. "The New York branch of the U.S. Federal Reserve, wary that a natural disaster or other eventuality could shut down its market operations as it approaches an interest rate hike, has added staff and bulked up its satellite office in Chicago." (Reuters) See Video. The pentagon is slowing moving all their stuff to Cheyenne Mountains. The large underground bunker was abandoned a decade ago, but this week the Pentagon announced that Cheyenne Mountain will once again be home to the most advanced tracking and communications equipment in the United States military. The shift to the Cheyenne Mountain base in Colorado is designed to safeguard the command's sensitive sensors and servers from a potential electromagnetic pulse (EMP) attack, military officers said. Yet the growing list of dead scientists and bankers,125 Scientists, 76 High-Level Bankers, with-in the last few years, so far..
And what to think about the ghost cities in china and Africa built by the Chinese Government the last years. For example: In China we have the city of Ordos built for over a million people of Inner Mongolia. This futuristic metropolis rises empty out of the deserts of northern China and in the desert of Africa we have the new Angolan city Nova Cidade de Kilamba designed for 500,000 people but it has no residents. Why they built such large cities as no one will live there? Yet Russia is on a fast track building their underground facilities for their people and the US government is making the same preparations but to protect the… elite. tip of the ice berg. I pray for white hat intervention. Nothing will happen it will just another day. The NWO is a hoax. Congress can't agree on anything, the Euro countries are in disagreement with each other, Israel and the Arabs totally at odds, on and on, no one can agree and get along yet all of a sudden there will be a singular coming together New World Order? Not a chance. BIG UP TO THE JESUS POSSE!!! BLOOD O' JESUS CHRIST WHAAAAAAAAAAATUP!!!!!!!!! Please spend more time studying and less time spreading irresponsible rumors concerning things that you know little about. If this is in regards to the article then may I remind you to conjure up something this good does in fact take a lot of studying. Furthermore he clearly states in his own text that this is a matter of opinion it is entirely up to you whether you believe in this or not and he also states it doesn't mean that it is for definite going to be the end of the world either all it states is that there are possibilities and coincidentally it all happens in September. If you are commenting to the thread above then I sincerely apologies for my rant but I just felt the need to pin point these facts to you before you attack the author of this article. Ha ha now that kind of comment is raising a reaction. A god like irresponsible reaction. It has that nickname because humans are trying to act in a god like way, thinking they know how we came in to creation and now trying to develop a way to recreate the big bang. Obviously on a small scale but still nevertheless trying to work out the creation of the universe, therefore god like and the testing of the god particle. from....OH YES, take a guess:...Social Security. Retirement age increased to 90. There are many negative world problems' right now, but no worse than any other time in recorded history, but now at everyone's back door and the type of which is very Brutal (offends our sensibilities). One main difference, in today's time, is the modern worldwide coverage of the news and terrorist acts, (by our 'starving' media), . Isis is very cunning, smarter, uses psychological and germ warfare, has millions of dollars of financial backing, through private donations, as well as Hostile persuasions (blackmail, threats to large corporations, and governments), Several months ago, they threatened the US and other countries tha many 'small' terrorist acts by small cells around the world would begin,and we are witnessing them now The shootings of black men by the police and the shooting of the police by members of the public. The psychological effect on the public, in the US as well as in other countries, establishes Fear in the public as well as in our law enforcement, and this puts a stranglehold on both the public and law enforcement personnel. This gives terrorist professional Rioters a 'clean slate' to work with to reinforce the Fear and Doubt. Our government has been prepared. The terrorists have been expertly inserting doubt and outright distrust in the population. This is a recipe for revolution. Ah well, it is now 23 September, and not a lot has happened. So far so good! Not all effects or repercussions of cerns influence are obvious or immediate. the only enemy of the NWO is the human nature it self. that why they call it New because it has to be artificial like the old attempts of the previous empires,,,,all fails / huge costs for humanity. the society we live is far away of willingly unifying and very close to slavery.